Cloud Computing is an on-demand delivery of computer system resources such as storage, applications, computing power, and other IT resources over the internet. It’s called cloud computing because users can access these system resources from any region through the “cloud” which is the internet. All user files and applications are stored on a network of remote servers instead of local servers. Today, any internet-savvy individual makes use of cloud computing on a daily basis. Activities such as document editing, watching movies, listening to music, playing games, storing and accessing data, emails, etc. make significant use of cloud computing. On the other hand, companies use cloud computing services for developing new applications, data storage and analysis, on-demand software delivery, website and blog hosting, and video and audio streaming. Software as a Service (SaaS) – It involves the delivery of software applications over the internet on a subscription basis. Infrastructure as a Service (IaaS) –As the name suggests, the whole IT infrastructure is made available over the network. This includes servers for developing applications, underlying operating systems, services for deploying development tools, databases, etc. Platform as a Service (PaaS) – It caters to software developers to create web or mobile apps easily and quickly. PaaS provides an on-demand environment for developing, testing, managing, and delivering software applications. In the cloud computing market, there are three main platform providers – Amazon Web Services (AWS), Microsoft Azure and Google Cloud Platform (GCP). AWS is the market leader among the three, while Azure and GCP are growing consistently. All three platforms have their own features that would match an application developer’s requirements. Amazon Web Services (AWS) – The AWS platform has the first mover advantage among its competitors. Hence, it offers almost every feature in the cloud computing industry. The platform enables easy access to a ton of features for application developers such as data storage, computing power, or any other functionality. It has many products under various categories. AWS also offers other tools such as management tools, developer tools, mobile services, and applications services. Microsoft Azure – Azure is similar to AWS and offers a variety of products and solutions for app developers. The Azure platform offers good processing and computing power. It is capable of deploying and managing virtual machines at scale. Azure can also run large-scale “parallel batch computing” – a unique feature that it shares with AWS over the Google Cloud Platform. Google Cloud Platform (GCP) – Google was one of the last companies to enter the cloud computing market. Through its vast number of services and offerings, it quickly rose to the third position among the top cloud computing providers. GCP’s App Engine product is quite popular among enterprise mobile app developers as it allows the creation of applications without dealing with the server in an agile manner. The GCP platform offers high-level computing, networking, storage, and databases. As GCP is relatively new to the market, it has a fewer services than AWS and Azure. For professionals who are looking to chalk out a career in the cloud computing industry, knowing all three platforms is a huge plus. Let’s take a look at the following categories for comparing these platforms. All three platforms are quite easy to learn. AWS has a simplified approach when it comes to launching servers on the cloud. It comes with proper documentation along with online training material. Professionals, who have worked in Windows technologies such as Windows Server, SQL server, and .net, may find it easier to learn Azure than AWS. As AWS and Azure have a lot of services, learning everything in one shot might get confusing. It’s always recommended to learn one service at a time. GCP would be easy to pick up for engineers who are familiar with Google applications and solutions. There are a variety of career options for software professionals in the cloud computing industry. The most popular roles are Cloud DevOps Engineer, Cloud Infrastructure Engineer, Cloud SysOps Engineer, Cloud Architect, and Cloud SME for specific services such as storage and networking. According to a survey by PayScale, the average salary for certified cloud computing professionals globally is $83,000 per annum. AWS is the market leader in cloud computing and is being used by majority of the companies globally. Professionals who are quite proficient in it are in high demand. In fact, the number of AWS Certified Solution Architects in the world is less than 5000. The above number is a clear representation of the immense job opportunities that are available for AWS professionals. Azure and GCP are growing fast and gaining on the dominance of AWS. Azure is an enterprise-focused platform when compared to AWS which is customer-focused. Azure certified professionals are more likely to get enterprise roles with fat paychecks. GCP is still picking up and job opportunities are bound to increase in the next two to five years. Amazon started offering AWS in 2006 and since then has built a comprehensive suite of cloud services. Its enterprise-friendly offerings appeal well to its core audience of application developers. AWS also has advantages such as flexibility and openness. Microsoft Azure is already being widely used in many organizations. Azure can link well with primary Microsoft on-premise systems like the Windows Server, System Center, and Active Directory. Azure is particularly strong in offering PaaS capabilities. 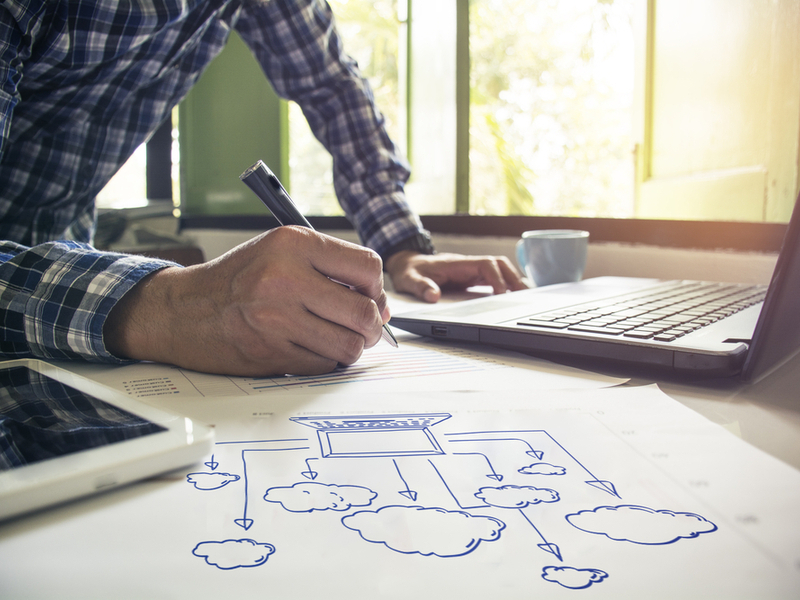 Rather than positioning itself as a strategic cloud partner like AWS and Azure, GCP is focused on proving itself on smaller, innovative projects at large organizations. Google’s TensorFlow framework and internal AI expertise are key selling points when it comes to GCP. With its focus on innovative features in machine learning, and using a Cloud Spanner distributed database along with a BigQuery analytics engine, GCP is poised to give tough competition to AWS and Azure. Cloud Computing has triggered a revolution in the IT industry. It has become a go-to factor for application implementation and hosting for all companies, whether big or small. According to a Gartner Survey Report, the market for public cloud is predicted to reach around $411 billion in 2020. This is bound to generate a wide range of job opportunities in this field. So, if you are planning to start a career in this domain, you are on the right track. Getting a cloud computing certification in this field will definitely help in learning and developing your skills. Become a cloud computing expert and join the elite group of highly paid IT professionals in the world.